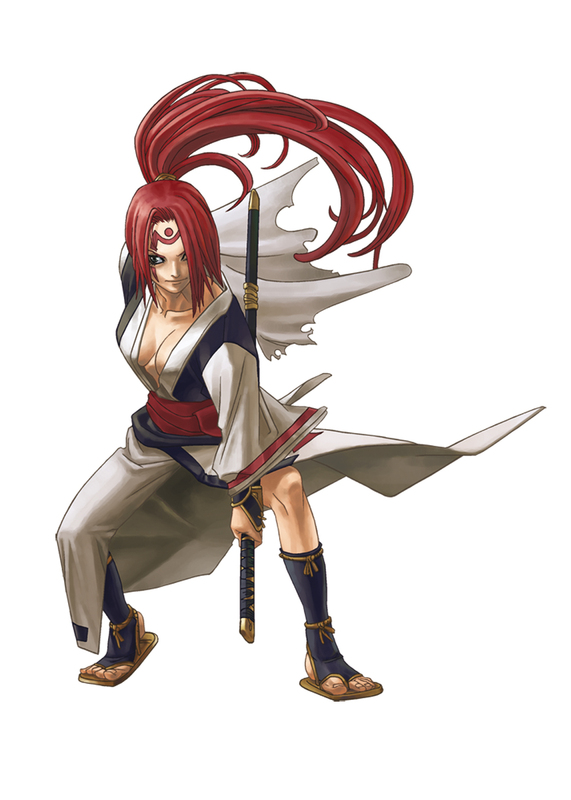 During the Crusades, the nation of Japan was destroyed by the Gears. 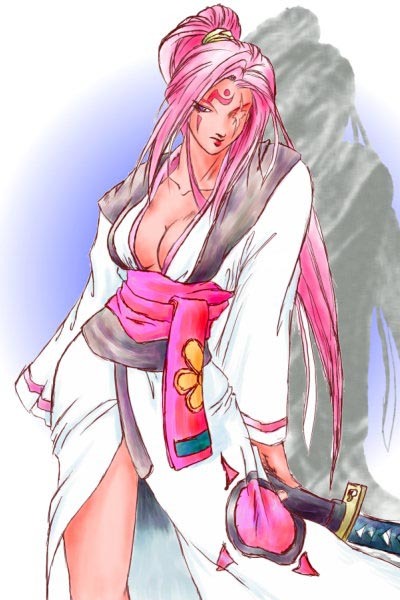 Following this, those of Japanese descent who still lived were declared cultural treasures and placed in special colonies. 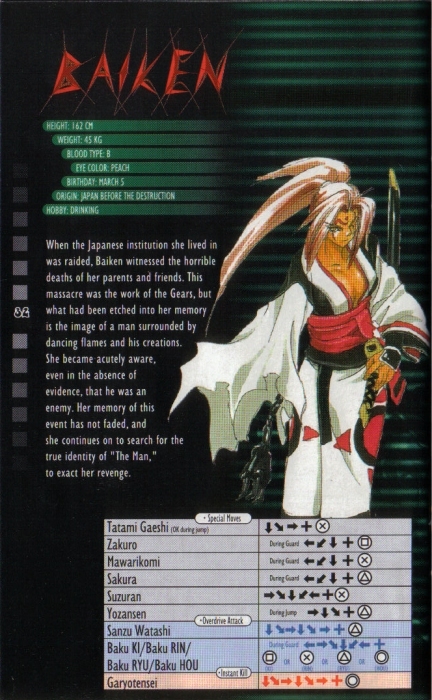 When Baiken was a child, the Gears attacked the Japanese Institute she was living in at the time. 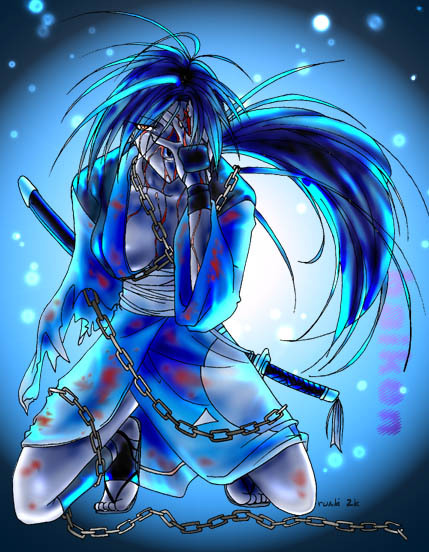 During the invasion, she witnessed the bloody death of her parents and other people, her right arm was severed and her left eye gouged out. 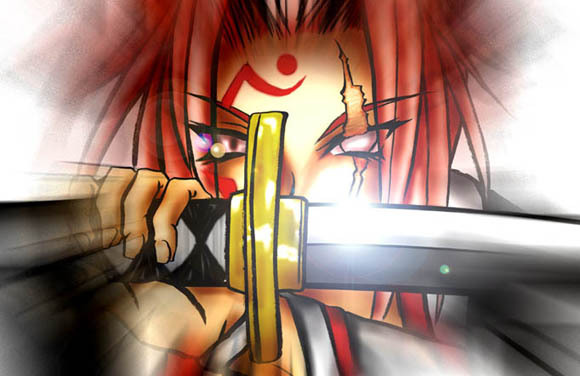 Amidst the flames, she could only see the silhouette of That Man, and swore revenge on him (and presumably the Gears as well) for what they had done. 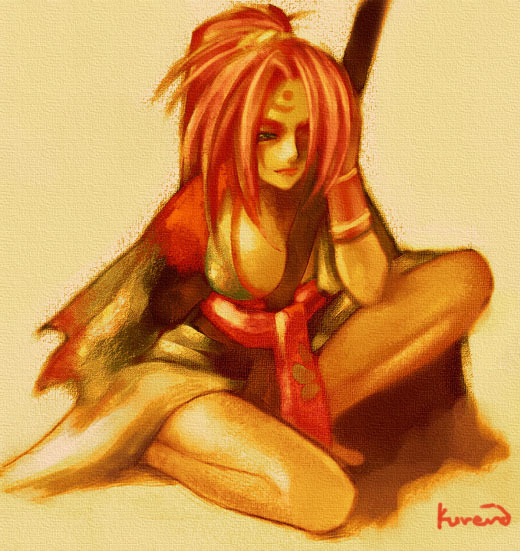 She trained herself in the use of the katana, and dedicated herself to hunting That Man down. 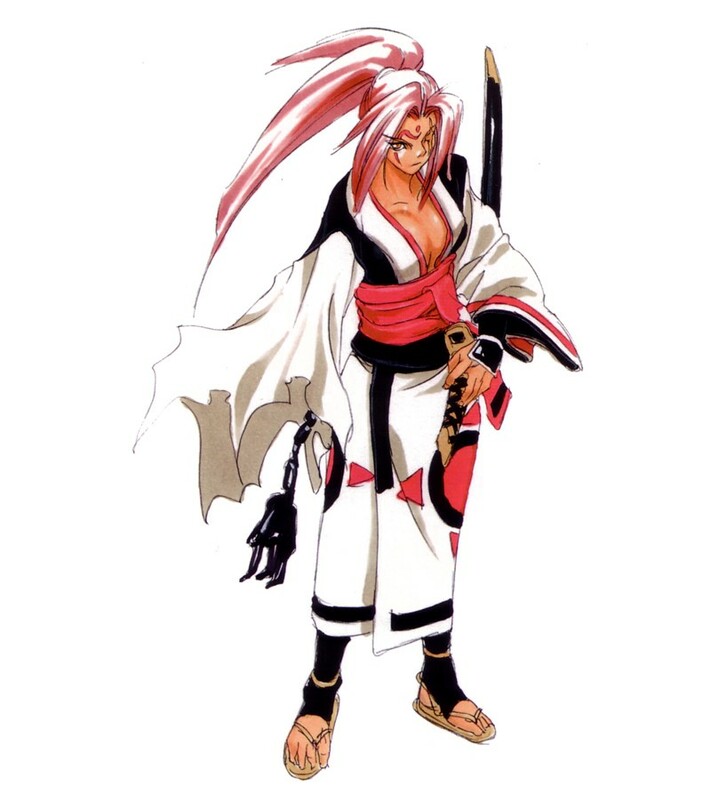 Baiken was a hidden boss and secret character in the first Guilty Gear. 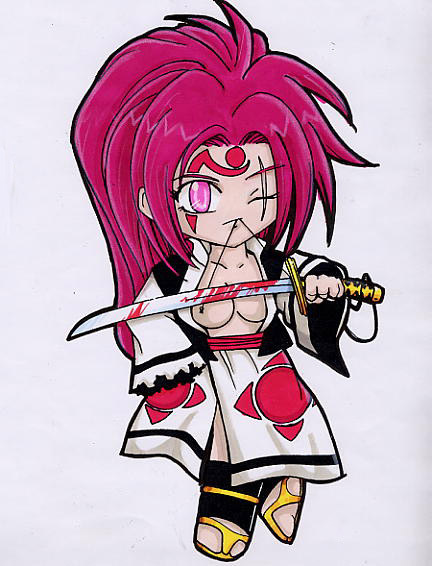 Presumably, she entered the tournament seeking revenge on the Gears, specifically Justice. 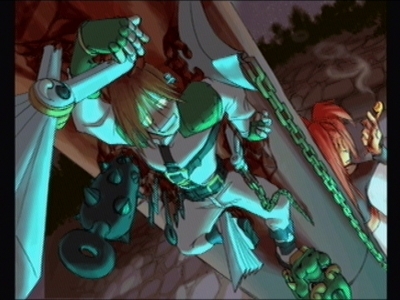 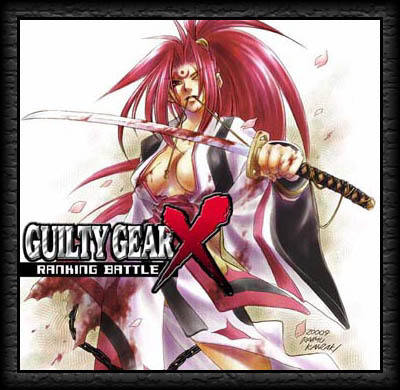 In Guilty Gear X, Baiken is still seeking her revenge, hunting down "monsters," including Gears such as Sol Badguy and others she considers to be demons, including Potemkin and Faust. 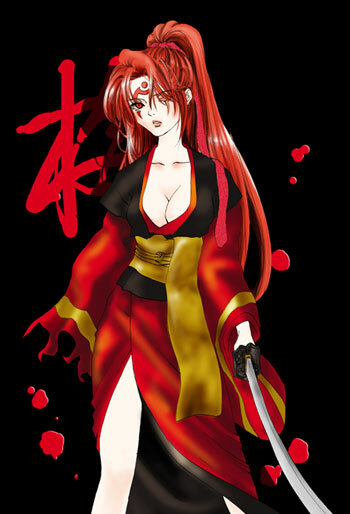 Her first ending has her nearly killing Testament and Dizzy, but then letting them go; her stated reason being that she can't find That Man. 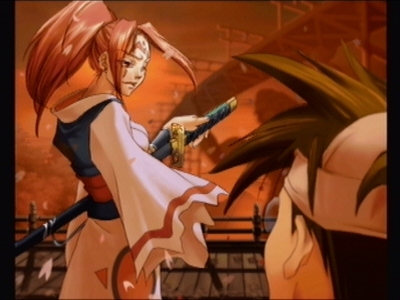 Her other ending has her accompanying Johnny for a drink. 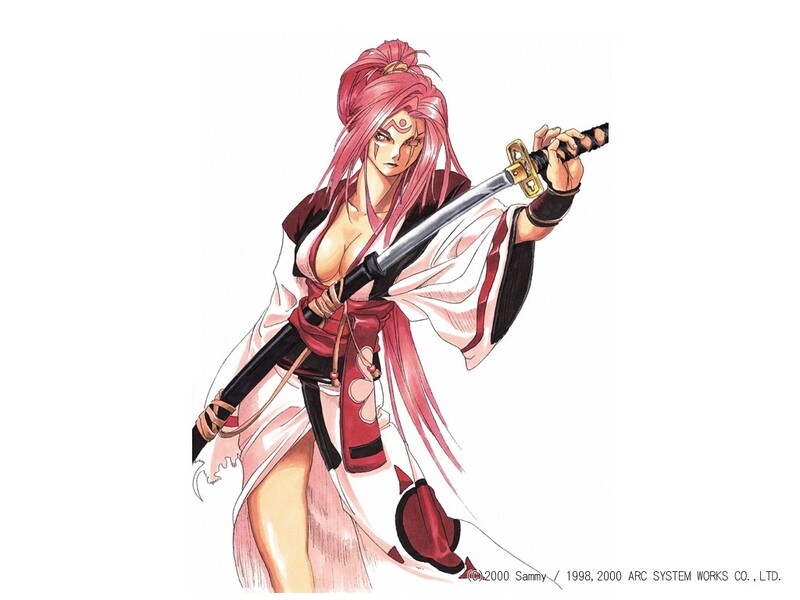 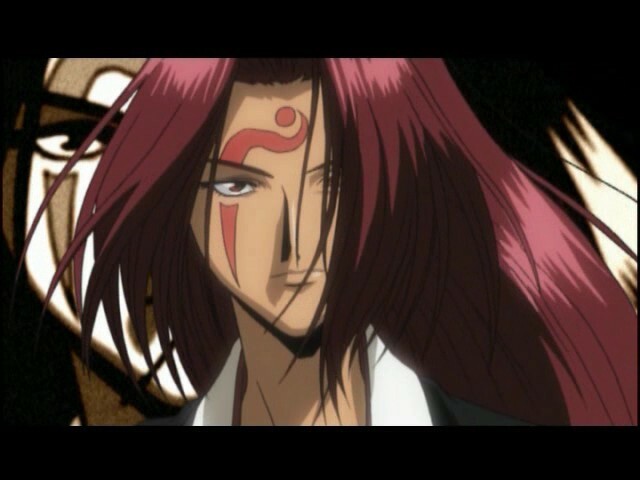 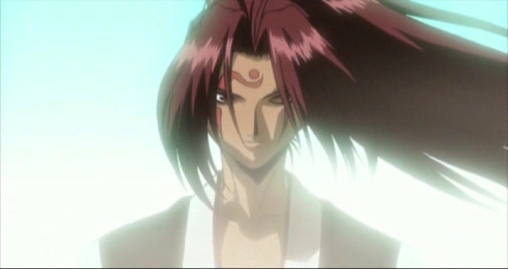 Baiken's design was heavily inspired by Himura Kenshin of Rurouni Kenshin. 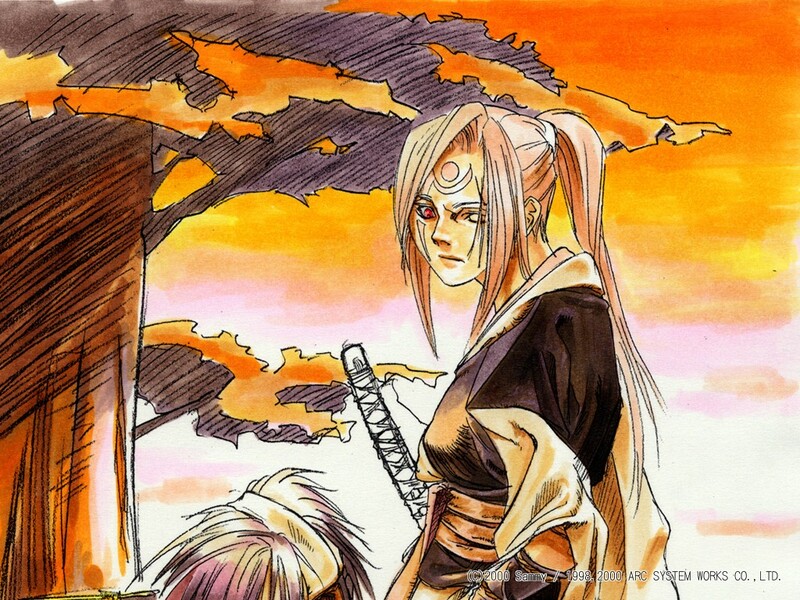 Character designer Daisuke Ishiwatari stated that he got the idea when he saw a picture of Kenshin and mistook him for a woman. 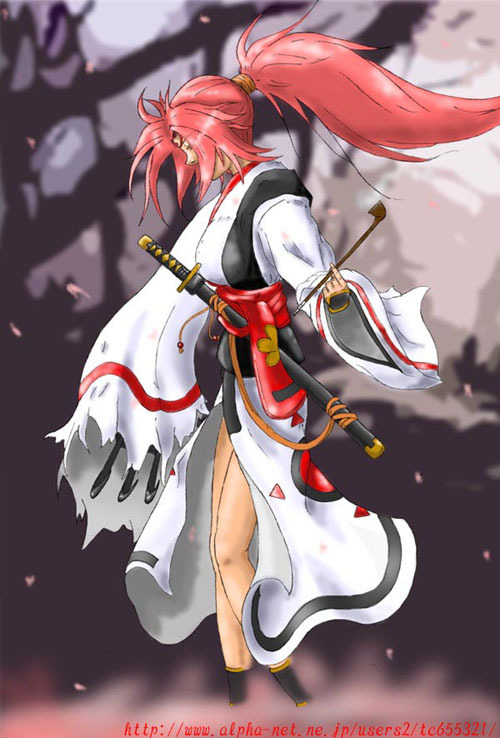 The name "Baiken" is likely named after Baiken Shishido, an Edo period samurai. 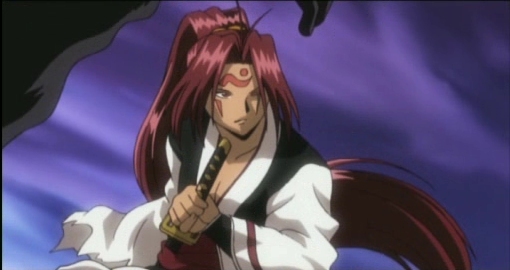 Every good fighting game series needs some sort of "samurai" character. 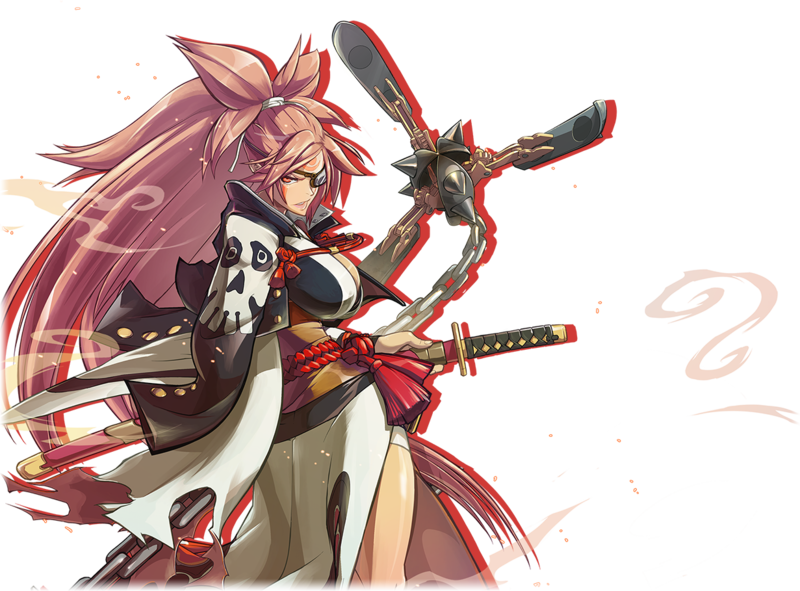 For the Guilty Gear series, Baiken plays the part exceptionally well, to say the least. 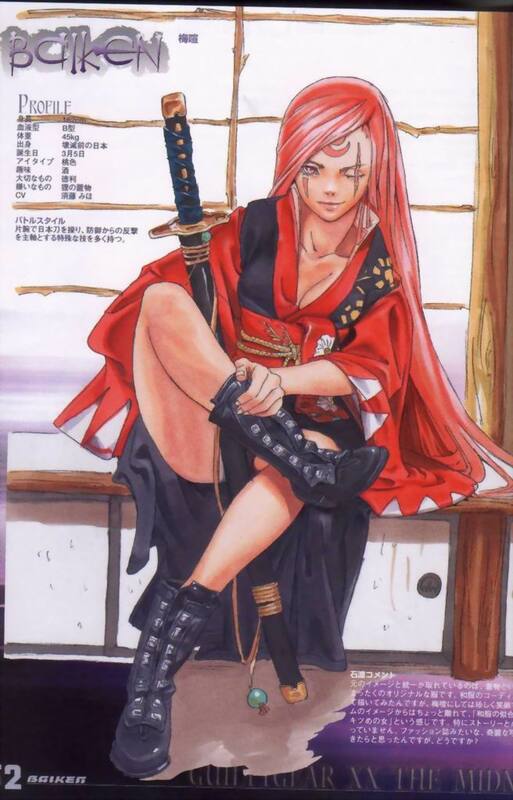 She is a hot samurai babe for sure. 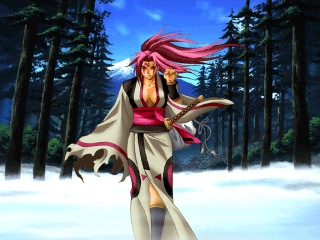 It's also very unique that she's missing an arm... but clearly has no trouble fighting her opponents. 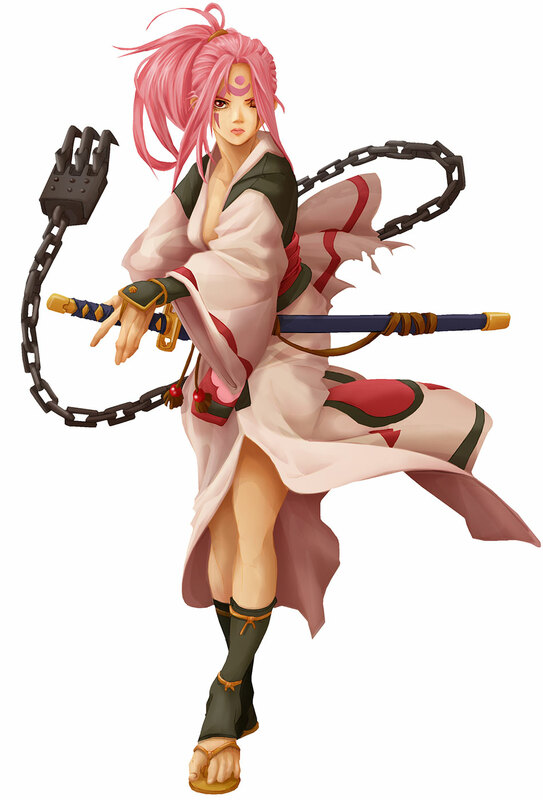 I like her appearance and all, but her in-game moves could be a tad bit more interesting, considering the series. 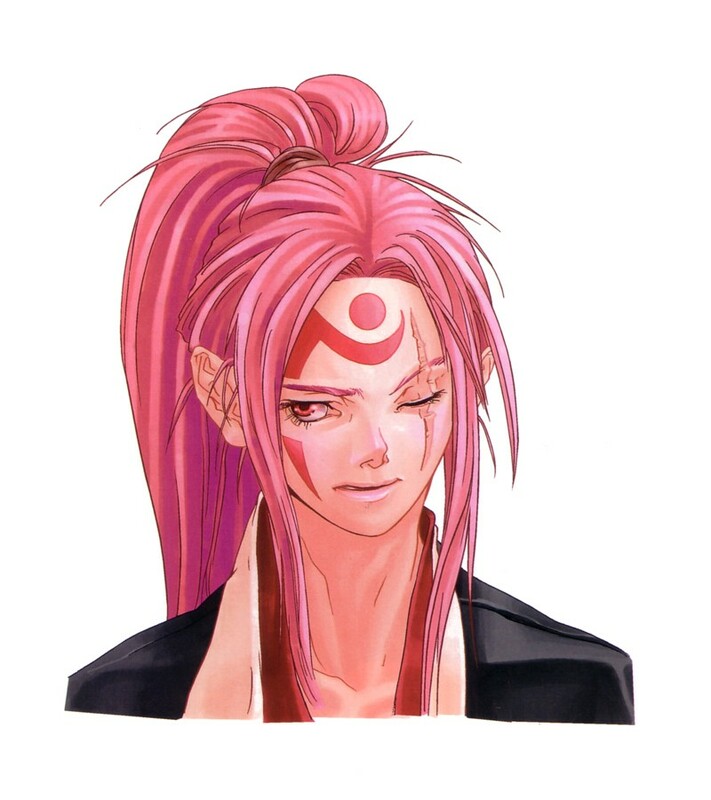 Her pink hair is also a bit much, for my tastes at least... (I never was much a fan of pink-haired anime girls, but hey, whatever floats your boat). 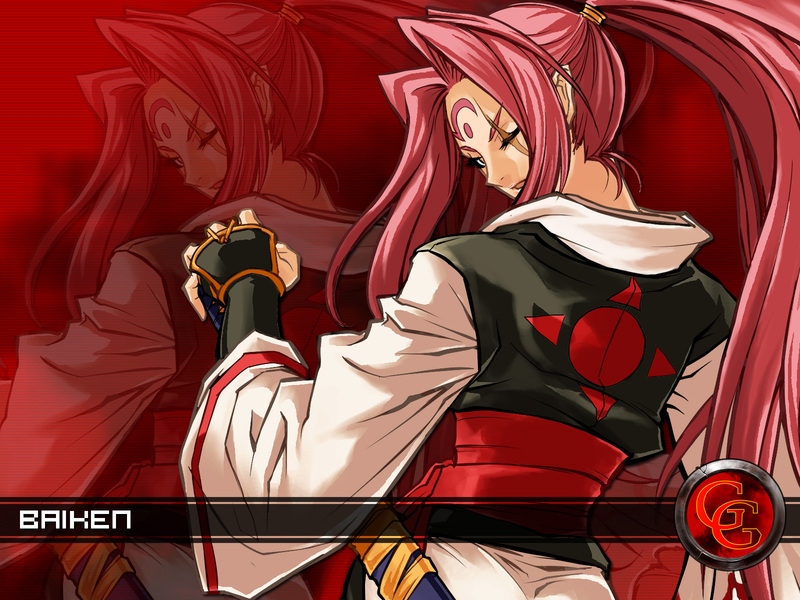 Hey, at least she has a ton of different color options in most of the games. 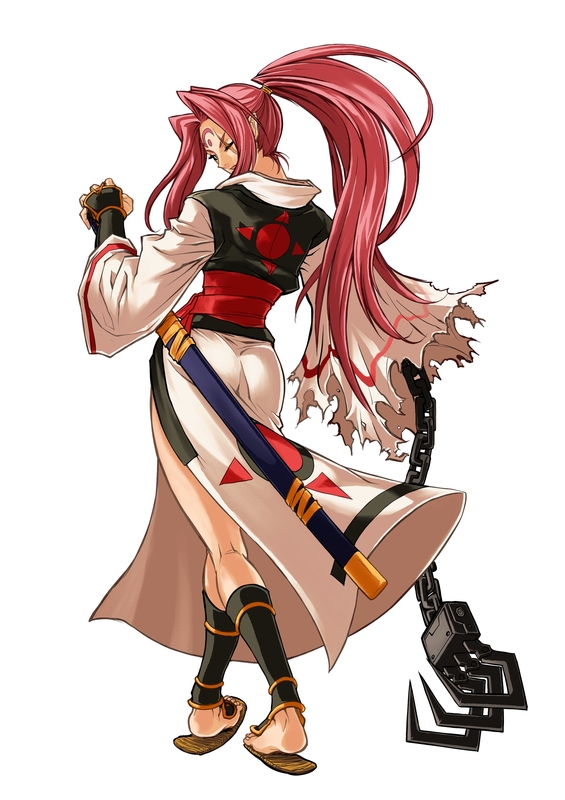 ;) Overall, she's a cool design and adds a memorable personality to the Guilty Gear series.